JNN 02 April 2014 Qom : Based on an Interview conducted by Maw’ud monthly with Dr. Esam Al-Emad about the politico-cultural situation of the Shiites of Yemen. Dr. Emad belongs to Yemen and he used to be a follower of the Wahabi School of Thought but he has now converted to Shi’ism. 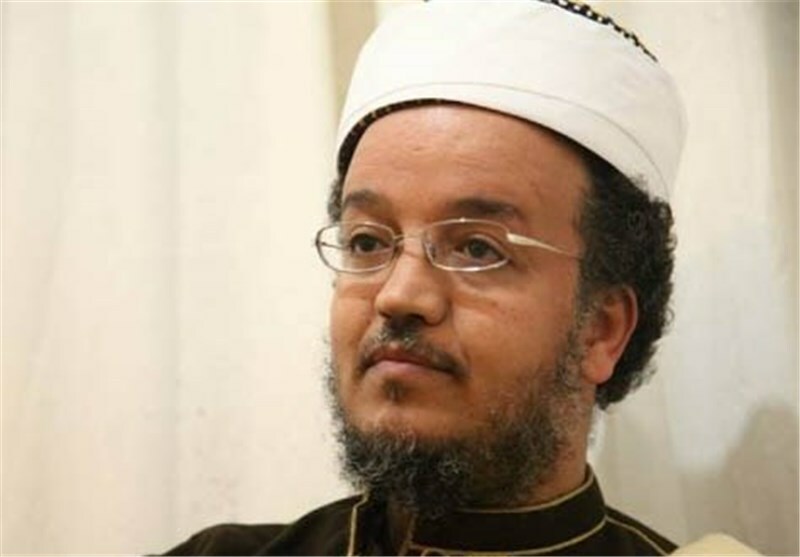 Esam Al-Emad was born in 1968 and he has done his doctorate degree in Hadith Sciences in one of the Saudi universities. At present, he is busy studying at the Kharij (post-graduate) level of Fiqh and Usul (jurisprudence and legal theories) in the Islamic seminary of Qom (Iran). According to Maw’ud monthly, as reported by the reporter of Rahavard Electronic Journal, Yemen has about 22 million population of which 30 percent are Zaidi Shiites, that is, about 5/6 million people. Previously, the statistics showed a higher percentage of Shia population in this country. During the period of Zaidis’ government, they made up approximately 40% of the population. At present, however, only 4 or 5 percent of the Zaidi population is known. Mr. Esam Al-Emad, would you kindly tell us how you converted to Shia? Yes, when I was specializing in Hadith sciences in Saudi Arabia, I studied a book entitled Al-Atabul Jamil ‘Alaa Ahlil Jarh wat-Ta’adil which is written by a Sunni scholar about Ilm-e Rejal (biographical science) of Ahl-e Sunnat. It was stated in that book that according to Ahl-e Sunnat, religious and historical tendencies affect the selection of traditions and individuals in Rejal and Hadith sciences. The distribution and circulation of this book in Saudi Arabia created a lot of hubbub and later as many as ten books were written against the same book. I have read some of them and after reading them, I felt like I never had any confidence on what I was reading or what Sunni scholars told. We were reading ideological books written according to prophetic traditions. The Holy Prophet’s traditions have been transmitted through a chain of narrators whose biographies are to be found in Ilm-e Rejal. If a doubt or a misgiving arises about the science of hadith, then one would begin to doubt about ideological books such as “Al-Tawhid” written by Muhammad Abdu because these beliefs are verified through the traditions and the traditions are based on Ilm-e Rejal. Of course, he has produced many arguments, but after several years of study, he has reached the conclusion that what the Sunni scholars have been saying about Imam Ali (a.s.) were not correct. However, Ibn-e Hajar Al-Asqalani’s sayings were also not convincing for me because he has simply raised a skepticism; he has not conducted a research nor has he given a convincing answer to the misgiving. This was the first sentence I read in Al-Asqalani’s Tahzib Al-Tahzib. Imam ibn-e Aqil Shafei has similar words concerning Sunni scholars’ unjust and unkind attitude towards Imam Ali (a.s.). I had several programs in Yemen in which prominent scholars, national and cultural personalities were attending. About 40 people would take part in these sessions which were used to be held in the month of Ramadhan, and I would focus my speeches on certain theological issues such as Hazrat Ali’s act of refraining from giving allegiance to Abu Bakr and Umar and transferring the government from Madinah to Kufa despite others trying to persuade the Imam to stay in Madina? Why did others try to stop Imam Ali (a.s.) from going to Basra and when he went there they caused a war to break out there? I mean to say that they always wanted to put the blame on Imam Ali (a.s.)? Why did he fight? Why did he accept the caliphate? I would propound these questions but I was not taking notice of myself being unfair towards Imam Ali. That is, if someone would tell me, “You are not fair towards Imam Ali (a.s.)”, I would say “it is not true, you are just accusing me”, but when I read Al-Atabul Jamil ‘Alaa Ahlil Jarh wat-Ta’adil, then I realized that it was true. If someone is a true Sunni, he should take a position towards Imam Ali (a.s.) because he should choose to condemn either Imam Ali or Umar. Therefore, Al-Asqalani has made a clear mention of this and I noticed that the path of life had become clear and distinguishable for me. Given that my specialty was hadith, so not only did I become Shia through this book but I also know many other individuals who read this book and embraced Shi’ism. Despite the author being Sunni, as I said, he has made mention of a very important point. That is, we were proud of the fact that Sunnis had an unkind and reluctant attitude towards Imam Ali (a.s.). Aren’t you any more at present reluctant towards Ali (a.s.)? In view of this, don’t you think that Shiites’ reluctance or disfavor towards the caliphs is justified? I believe Shiites’ apathy towards Sunni leaders is different from Sunnis’ apathy towards the Shia Imams. That is to say, the apathy existing among the Sunnis has come into being on account of political issues – not religious issues. Their lack of interest in Imam Ali (a.s.) has been due to the interference of unjust states and governments over history while this is not the case with Shiites because Shiites’s approach towards Sunni leaders is based on the Quran and the Prophet’s traditions. In the case of Shiites, no politics is involved. If Shiites’ apathy may be due to political reasons, they are condemned. The Shiites’ stance is correct because they have proofs from the Quran and traditions of the holy Prophet (pbuh). That is to say, Shiites rely on a religious principle, which originates in the Prophet’s saying but Sunnis’ stance is based on no such things. What do you think the Sunnis’ apathy towards Imam Ali (a.s.) stems from? There is no doubt that it has no religious foundation? Given that the Sunnis accept Imam Ali’s entire virtues and excellences, it becomes clear that there is a political motive involved. As for Shiites’ attitude towards the Sunnis and their caliphs, it is based on religious evidence. What is the percentage of Imamiyah Shiites out of the entire Yemeni population? Actually, Imamiyah Shiites in its particular meaning came to Yemen only after the Islamic revolution of Iran. There were no Shiites there before the revolution. Before the revolution, there existed some Zaidi Shiites but the Ithna Ashari (Twelver) Shiites arrived in Yemen after the Islamic revolution. Of course, there is no precise statistics about the number of Ithna Ashari Shiites living there because, in our society, they are quite a new phenomenon. What is the population of Zaidi Shiites? What percentage do they make up? If we consider Zaidis as Shiites, they make about 30 percent of the entire population of Yemen because Zaidis have been living in Yemen for the past 1200 years. Most of the Yemeni Sayeds are the descendants of Yahya Al-Imam Al-Hadi bin Al-Hussain bin Al-Qasim Al-Rasi who is one of the of grandchildren of Imam Hassan Mujtaba whose brother was also in Yemen. He traveled from Medina to Yemen in 260 A.H. to escape the atrocity of the Abbasid government. Before that time, all the people of Yemen were Sunnis. However, Sunni historians have studied the history of the development of Shiites in Yemen and they have said that Shiites began to spread in Yemen after him. Until before this time, the names of the caliphs would be announced publicly all over the country but when Yahya Al-Hadi arrived in Yemen, the governor put a ban on the names of the three caliphs and allowed only Imam Ali’s name to be recited. How much is the population of Yemen at present? Yemen has about five million population of which 30 percent are Zaidi Shiites. That makes about 5/6 million people. Previously, the statistics showed a higher percentage of Shia population in this country. During the period of Zaidis’ government, they made up approximately 40% of the population. At present, however, only 4 or 5 percent of the Zaidi population is known. In 1962, about 42 years back, Abdul Naser brought about sixty thousand Egyptian soldiers into Yemen and took the government from Zaidis and handed it over to laic individuals. In the same year, religious schools were banned, clerics were arrested and killed and I also entered a Wahhabi school in Yemen. The reason why out of 5/6 million Shiites only five hundred Shiites are known is because the government put a ban on all their religious rites. Their rites are held out of pure love for the Ahlalbayt (a.s.). When their enemeis’ government came to power, it started to massacre Shiites and their scholars. They changed all the cultural and religious rites that dated back to one thousand years. For example, in a funeral ceremony, the people would recite the stories of the Ahlalbayt (a.s.) so as to revive their memories but all of a sudden, things changed and the government banned these. For the time being, there is no discussion going on about the Ahlalbayt (a.s.) in official and non-official schools. Books like Nahjul Balaghah and Sahifa Sajjadiyah are banned. There is no mention made of the household of the holy Prophet (Ahlalbayt) in textbooks and narrative sources. The government permits none of these. Even very recently, the government authorities ordered that Nahjul Balaghah be collected from all over Yemen. Do Shiites who converted to Imamiyah Shia after the Islamic revolution in Iran have any religious ceremonies like Ghadir festivity or the commemoration of Ashura? Now-a-days, Zaidi Shiites and Imamiyah Shiites gather at certain places to hold religious ceremonies like Ghadir festivity. They invite a religious scholar to talk to them about the successorship of Imam Ali (a.s.). In such happy occasions, they distribute fruit and sweets and recite poems in praise of the Imam. They also call the first to the 18th day of Zil-Hijjah as “Eid-e Ghadir”. What religious ceremonies do Zaidis specially have other than Ghadir festivity? They have other ceremonies also, for example, after the victory of the Islamic revolution when Imamiyah Shiites entered the Zaidi community, they began to commemorate the event of Ashura while it was not commemorated before that time. Zaidi Shiites did not commemorate the incident of Karbala before the Islamic revolution in Iran. Many Zaidi Shiites have now learnt the Iranian and Iraqi method of holding the Ashura ceremony. Therefore, they beat their chests, recite the sad stories of Karbala and also they recite Dua-e Kumayl. All of these have come to Yemen from Ithna Ashari Shiites’ culture. The tendency to recite Dua-e Kumayl, Mafatihul Jenan and other Shia supplications has increased after the Islamic revolution because most of the Zaidi community have suffered injustice and oppression. They were about to perish, and I admit that if the Islamic revolution did not take place in Iran, the Zaidi religion would have died by now, on account of the cultural assault and media influence. The movies produced by Egypt and certain Arab countries all propagate Sunni religion and they emphasize on Arab Sunnism and Arab nationalism. All of these have caused the 5/6 million Zaidis to apparently remain as Zaidis. It was only after the Islamic revolutions that Shia books were taken to Yemen and Zaidis began to reverse to Zaidism. Once I asked them, “why did you choose to become Zaidis?” they said: “We read Allamah Sharafuddin’s Al-Muraja’at”. One of the Zaidi leaders called “Muhammad Mansoor” said: “If the Islamic revolution did not take place in Iran, Zaidis would have perished. We are Shiites because there is a Shia state (in Iran). With the coming of a Shia state, we have been revived and we have gained our hope of remaining Shiites”. The Zaid scholars have said: “If the Islamic revolution had not taken place, there would not exist a single Zaidi in Yemen”. Fortunately, most of those who caused Ithna Ashari Shiites to spread in Yemen are the Zaidis themselves. Most of those individuals who have gone to Yemen as preachers have been supported by prominent Zaidi personalities. Not only were they supported but they were also allowed to build schools and do propagation activities. They even allowed their children to convert to Shia. Zaidis’ Mufti known as “Allamah Muhammad Zubara” said in Yemen that: “Real Shiites are in Qom”. Do Shiites have special ceremonies on the occasion of the martyrdom of Imam Ali (a.s.) or religious ceremonies are held only on the day of Ashura? Yes, religious ceremonies are held less or more at this time but these ceremonies did not exist before and they have been introduced to Zaidi religion recently. Although they are Zaidis, they act like Ithna Ashari Shiites. When you enter Zaidi cities, you find that 90 percent of their books are from Ithna Ashari Shiites. How is the situation of Yemeni clerics and scholars? Do Zaidis have any prominent scholars? Where do they study? They are mostly in Sa’adah, Zaidis’ scientific city. There are religious schools in Sa’adah province and during summer vacation, about eighteen thousand students gather there. This is the place where a war started sometimes ago, a war which was actually on a religion. A number of Zaidi scholars were killed in the battles some of whom were about eighty years old. This war was a massacre of the Shiites by government forces. Ayatollah Muhammad Reza Jalali who is in communication with Zaidi scholars said: “There were too many deaths and murders; at least about fifty thousand men and women and Shiite scholars have been killed since 1962. Approximately, every week or every other week, either a prayer leader or a prominent cleric or a religious figure gets killed”. Do Ithna Ashari Shiites have any clergymen there? Yes, they do but since they have begun to emerge recently, it cannot be said for sure that they are settled there. Are there any religious students from Yemen in Qom? Yes, there are. Certainly, when they have completed their studies, they will return to Yemen for Tabligh (propagation). Are there any pilgrimage sites (shrine) in Yemen? Yes, most of the pilgrimage sites are places which were visited by Imam Ali (a.s.). When the holy Prophet of Islam (pbuh) sent Imam Ali to Yemen, he built a mosque there. This mosque is still there and it is very sacred. There is also another mosque which is known as “Masjid al-Shahidayn”. What is Zaidis’ belief about Imam Madhi or the Imam of Time (a.s.)? Zaidis accept the Five Infallibles (Members of the Cloak) like Imam Ali, Hazrat Zahra, Imam Hasan and Imam Hussein (a.s.). They accept other individuals like Zaid, Imam Ja’far Sadeq and Imam Baqir as holy people, not as infallibles and they believe that after the martyrdom of Imam Hussein (a.s.), infallibility ceased to exist and the flow of Nas (textual narrations) also stopped. Can we just say that Mahdiyism has no social appearance in Yemen unlike what is manifested on the fifteen of Sha’ban in Iran? There is no such a ceremony there in Yemen. How old were you before coming to Iran and before you were acquainted with Iran? I was ten years old when I first got acquainted with the Islamic revolution because the Islamic revolution was a global move. Moreover, anti-Iran propaganda was spread by state radio, television and newspapers. In the battle of Iraq against Iran, Northern Yemen dispatched military forces to Iraq to help the cruel regime of Saddam Hussein. That was because, Zaidis are supporters of the Islamic revolution of Iran. The Yemeni government was very angry at this. The Yemeni intelligence and that of Iraq were united and the Yemeni ambassador in Iran was both a representative of Yemen as well as Iraq. Do Yemeni Zaidis have a religious authority in the same way as the Shiites of Iran do? Yes, they have a religious authority whom they follow. They have all the Shia thoughts. Although they do not consider Taqlid to be valid, since they are culturally and ideologically opposed to the oppressive political states, they have their own religious authority. Zaidis are even compelled to give their Zakat once to the Yemeni government and then to their religious authority. In your opinion, what can the Islamic Seminary of Qom or Shiite scholars do culturally for Yemen? How can they interact with Yemen? In Yemen, Shi’ism in general ruled for 1200 years until the Wahhabis came to power. The Wahhabis attacked libraries, burnt them and destroyed all the one thousand years legacies of Yemen. In order to prevent further destruction of Zaidi Shiites cultural heritage, Ayatollah Muhammad Reza Jalali’s method is good. He is a person who has written many books about Zaidi Shiites. He has a lot of information about Zaidi and Yemeni Shiites and he is the person who is trying to bring Zaidis’ writings and books to Qom and publish them here. He said: “We must prove that the Yemeni’s culture is originally a Shiite culture. However, since the policy of the Yemeni Shiites is basically anti-Shia and pro-Wahhabi, they try not to publish Shiite books and if they ever publish a Shia book, they omit all those words which are in favor of Shia. The books that have so far been published there are said to be altered and interpolated. One such book is Nahjul Balaghah for which about 100 connotative and commentary works have been written in Yemen . Now, if these books are to be published in Iran, and if these books cost 100 dollars, the Wahhabis will pay 2000 dollars to buy and burn them. Even a Wahhabi has written a book in four volumes and has tried to tell that the Yemeni tribes have had no role in expanding Shi’ism in Yemen, rather they have helped Sunnism spread in the country and Shi’ism is only in Iran. Fortunately, a lecturer in the department of history of the University of Isfahan called “Dr. Asghar Muntazer al-Qaim” has written a very interesting book on the role of Yemeni clans in supporting Ahlalbayt (a.s.). This book is very interesting and it has been translated into Arabic by my wife. This book has been written in Iran and it is unique in Yemen. There is no such a book in Yemen. The Wahhabi elements try to announce through the T.V. that you Yemenis are Sunnis and Shi’ism has no origin in Yemen. But the leader of Sunnis “Allamah Sheikh Muqbil Wara’ei said: “There are Shiites in Yemen and love for Ahlalbayt (a.s.) exists in the Yemeni people’s hearts but we have to take this love from them. Now, we can send Yemeni Shiites’ one thousand years old culture to Iran, republish it and send it back to Yemen. I think it is very important to do this because sending preachers and helping every individual to become Shia is an uphill task and it will take a long time. At present, who are supporting such tasks? What is your view about Muslims’ unity? Do you want Sunnis and Shiites to unite with each other? How do you interpret this unity? Muslims’ unity can be interpreted in two ways: One is to tell that others convert to our religion and follow our beliefs which I do not accept but if we interpret unity in the sense to introduce Shia religion as a propagation method, this will help create a situation in which others will get inclined towards Shia. This is good. The second way is to unite politically. That is to say, Muslims all over the world should unite against their common enemies like the US. But if unity is interpreted in such a way that it involves ignoring Wilayah and desisting from it, then it is not unity; rather it destroys the unity as well as the religion. I have also written a book on this subject. The book has been translated into “Quarrelless Dialogue”. Is Iran doing any cultural activities in Yemen? Because of anti-Shiite policies of the Yemeni government, Iranians’ cultural activities are limited. Mostly, they are busy rendering services like making clinics and such like and they are also doing business. Once they wanted to establish a library in Yemen by the name of “Imam Khomeini Library” but the government did not permit them. What do you expect Shiite religious authorities to do for Yemen? If you were their advisor in Yemen affairs, which cultural activity would you prefer most? Yemeni Shiites are faced with a great problem and that is the war that they are fighting at the moment. As of now, thousands of Zaidi Shiites have been killed. Zaidi Shiites are either in prison or are besieged or being killed. Now that the Islamic Republic of Iran has not been able to condemn the crimes due to political issues, I expect the religious authorities and scholars to issue an independent statement condemning the crimes. They are killing the Yemeni Shiites and the perpetrators of the crimes should be condemned. When I speak with the Yemeni Shiites on the internet, they say that they expect that the massacre of Shiites be condemned. At present, thousands of Shiites are in prison suffering tortures and the Yemeni president himself said: “We do not accept Shi’ism”. They are especially afraid of a situation like that of the Shiites of Iraq. One of the Wahhabi leaders in Yemen wrote the president of Yemen a letter which had been signed by a group of Wahhabis. He had written in the letter that if there are Shiites in Yemen, they will pose a great danger for us. This means that the Shiites should be massacred. The Yemeni government does not allow Shiites to own big industrial companies or serve in the air force or army or hold important government jobs. One thing more to expect the religious authorities to do is publish Zaidi Shiites books, those books that are common between them and Ithna Ashari Shiites e.g. books that are about Hazrat Ali (a.s.), Hazrat Zahra, or Imam Hussein (a.s.). Fortunately, most of Zaidiyah books have something to do with these subjects. They are Zaidis but they do not believe in Zaid. They say that Zaid is like other regular individuals. They believe only in the Five Infallibles, the members of the cloak. The reason why Zaidi Shiites believe in Zaid is because he launched the first armed revolution against the then unjust government. That is why they consider him as one of the devoted Shiites not as an infallible. Now as a revert (one who was Sunni before and is Shia now), what is your message for the Iranian youths in universities and religious seminaries? All over the world, the enemies of Islam want to destroy Islamic beliefs of both Shiites and Sunnis. For this reason, they have tried to bring all religious centers in Yemen, Tunisia and other parts of the world under the supervision of the state. For example, students associations in Yemen, Tunisia, Saudi Arabia, Egypt and Turkey have been turned into a state organization affiliated with the government. The governments have strict control over clerical institutions to the extent that if a prayer leader wants to enter a mosque and speak about religious issues, he will not dare to speak a single word against the government’s policies. They have succeeded in governmentalizing Sunni religious centers. This has not been done with respect to Shia clerical institutions. They have failed to do this in Shiite societies. That is why Shiite clerics are independent of governments. The reason why they started to governmentalize Sunni clerical institutes was that all the wars in previous times were fought by clerics like Umar Mukhtar in Libya, Imam Yahya in Yemen, Hasan Al-Banna in Egypt and Abdul Qader Al-Jazaeri in Algeria. I hope we will not become proud for being Shia or because the Shiite clerics are independent. That is true with Shiites but we have a great many tasks ahead to do. In Egypt, they could install a fixed official cleric in Al-Azhar. In the Shiite world, also they can appoint an official religious authority affiliated with the government and we must be cautious. I advise the Iranian youths to try to take a lesson from other youths. Unfortunately, the youths in those Islamic countries whose governments are inclined towards the US are under the influence of the cultural onslaught of the West. The faithful youths of Muslim countries are introduced as “terrorists”. Unfortunately the word “terrorism” has gained such a wide and expansive meaning that even a person who is offering prayers is considered to be a terrorist, or as a supporter of Ben Laden who should be killed. Only the Iranian youths enjoy the bounty of freedom, freedom to offer their prayers, perform their religious rights, enjoin the good and so on and so forth. As a Tunisian or as a Yemeni Muslim, if I do what an Iranian youth does, I will be arrested and put in jail. I appeal the Iranian youths to make use of the bounties bestowed upon them by God, the bounty of freedom to speak against the enemies of Islam, to preach their religion, to enjoin others to do good and forbid them from bad. A Palestinian youth can do only one thing and that is to stand up against a Jew and get killed; he cannot do anything else. The Iranian youths should benefit from this opportunity and should not think that they will have these opportunities with them at all times. These opportunities, as Imam Ali (a.s.) said are like passing clouds, which will never return. The Iranian youths should compare their situation with that of the Yemeni or Tunisian youths so as to know the value of the revolution. This entry was posted in Iran News, Middle East and tagged Hazrat Ali, Imam Ali, Imam Baqir, Imam Hasan, Imam Hassan Mujtaba, Imam Hussein, Imam Khomeini Library, Imam Madhi, iran, Ithna Ashari Shiites, Shia Convert, Shia Religion, Wahabi Scholar, Yemen, Yemeni zaidi Shia, Zaidi Scholar, Zaidi Shiites. Bookmark the permalink. I CONGRATULATE YOU FOR THE FRAGRANCE OF THE KISSA E YAMAANI CLICKED THE SWICHED OF THE NOOR ”ON” IN THE DEPTH OF YOUR HEART AND NOW YOU WILL NOT EVEN FEEL THE WORMTH OF THAT ETERNAL BAD PLACE CALLED JAHANNUM . MAY ALL YOUR RELATIONS FOLLOW YOU . YOU HAVE WHILE STILL HAD TIME ,MADE YOUR THIS LIFE OF THE WORLD AS WELL AS THE HEREAFTER FOR WHICH YOU VERY MUCH DESERVE MUBARAKBAAD . MAY ALLAH BA TASADDUQ 14 MASOOMEEN ALAIHISSALAM INCREASE IN YOUR TAUFEEQAAT MILLIONS OF FOLDS . LOT OF INSIDE SECRETS FROM HIM ,PUBLICISE IT FULLY .